The New Year often prompts resolutions to exercise more, eat healthier, loose more weight, and as a whole live a healthier lifestyle. But what is often dismissed as important in our hearing health. This month we are sharing two resolutions that can help promote better ear and brain health this New Year. Noise constantly creeps into our lives, be it a white noise in your bedroom, a loud beeping truck out side your window, or a loud HVAC system. These harmful sources of noise may seem like an annoying occurrence but it’s important to identify and avoid these sources of noise due to their harmful consequences. An apparent consequence of this noise exposure is damage to your hair cells in your ear. You only get one pair of good ears, once your hair cells are gone, they are gone for good. An overlooked and less obvious consequence of this noise exposure in on your brain. Your auditory system adapts to its environment. If this environment is loud and disorderly, over time your brains neurons will respond to sound less efficiently. Cutting out those annoying meaningless sources of noise will help your brain. You are never too old or too late to learn something new! 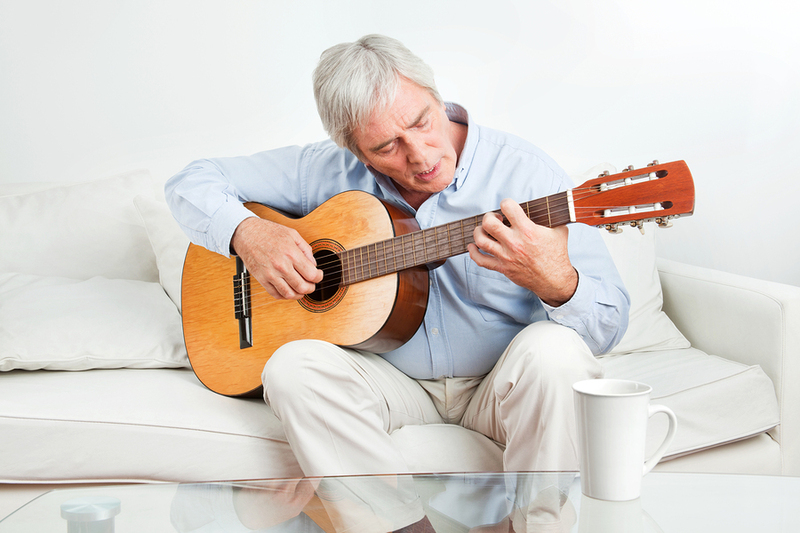 Engage in activities that boost your auditory system. Making music is a jackpot for your brain plasticity because it combines sensorimotor, cognitive, and rewards networks. When your brain systems are activated at the same time, your brain learns to reorganize it’s self in a meaningful way. Thus, making music is a great strategy to make your auditory brain process sound more efficiently. Keep in mine, you do not have to be a full-time professional musician to gain these benefits for you brain. You simply need to pick up an instrument of your choice and start practicing a couple times a week. This will lead to better hearing in noise, auditory memory, and attention. Which instrument are you going to choose?